I promise to use it only to send you fishzine. New to keeping freshwater aquarium fish and struggling with information overload? Or an experienced fish keep researching their latest fish choice? You will find the information you’re looking for here regardless of experience level. 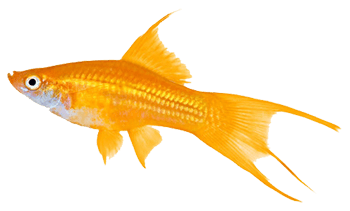 At Amy’s Guide to Aquarium Fish I aim to provide information on a wide range of freshwater aquarium fish and fish keeping issues in an easy to follow and informative way. If you’re looking for advice on how to pick the perfect aquarium fish for you, visit the choosing aquarium fish section of the site, which will guide you through the questions you need to ask yourself when choosing your aquarium fish. If you want information on a specific fish, but you don’t know which fish group it belongs to, you can use the Freshwater Aquarium Fish Index All the fish are listed alphabetically for you convenience. If you would like to know who Amy is, visit about me. To see what’s new @ Amy’s Guide to Aquarium Fish,visit what's new. If you have any suggestions or comments on how I could improve the site, you can use the form on the contact me Page. It’s always nice to hear from fellow fish keepers.